Welcome back to another instalment of Field of View, our roundup of the smaller and more spurious virtual reality news you might have missed from the week. Of course, if you've been following Wareable you'll already know about MSI's VR backpack, and the even more bonkers underwater VR headset that made it into ZTE's crowdfunded shortlist. This week we also published our full Samsung Gear VR (2016) review - be sure to check out our thoughts. But plenty more has been going on in the world of virtual reality. So strap in, get comfortable, and immerse yourself in all the latest. There was less fortunate from Sony's London Studio this week, which confirmed it will be downsizing. Sony told GamesIndustry.biz that it would be laying off staff at the studio behind PlayStation VR Worlds, a collection of short games that will launch for PSVR. It's always sad to hear of layoffs at any company, and London Studio has been responsible for the likes of the EyeToy, SingStart and The Playroom. But it's not over - Sony said that London Studio will be moving forward with its "next VR project". VR is already letting us do some incredible things: floating through space, swimming with whales, scaling massive heights, accounting. Yep, Crows Crows Crows, the studio led by The Stanley Parable designer William Pugh, has revealed its new game will be called Accounting. And it's about accounting. Well, sort of. Rather than saying any more, maybe it's best we just let you watch the trailer below. Oh, and if you need another reason to be interested, Justin Roiland (Rick and Morty / Squanchtendo) is also helping design the game. After launching on Android last year, Google's Cardboard Camera, which lets you capture 360-degree panoramics, is now available on iOS. The app will work with iPhone, iPad and iPod Touch, giving you the power to create awesome all-around-you shots, but remember you'll need a Cardboard headset to view them. Until now, Oculus has had less of a focus on room-scale VR than HTC and Valve, but that's slowly changing. This week VP of Product Nate Mitchell announced that the latest Rift dev kit update, 1.0, is bringing a boundary system called Guardian. Like SteamVR's Chaperone, we imagine Guardian will work much the same, mapping out the boundaries of your playroom so you don't smack your face into a wall. We expect we'll hear more about it at Oculus Connect, which takes place 5 - 7 October. There's a lot of will-it-won't-it around Apple and VR right now, but Tim Cook made some comments this week that suggested the company might be looking more closely at augmented reality instead. "There's virtual reality and there's augmented reality -- both of these are incredibly interesting," Cook said on ABC News' Good Morning America. "But my own view is that augmented reality is the larger of the two, probably by far." He added: "Virtual reality sort of encloses and immerses the person into an experience that can be really cool, but probably has a lower commercial interest over time. Less people will be interested in that." However, he did say that VR has interesting implications for education and gaming, which Apple has "a lot of interest in". We already know that Queen guitarist Brian May is very onboard with virtual reality, having designed his own pair of VR glasses. 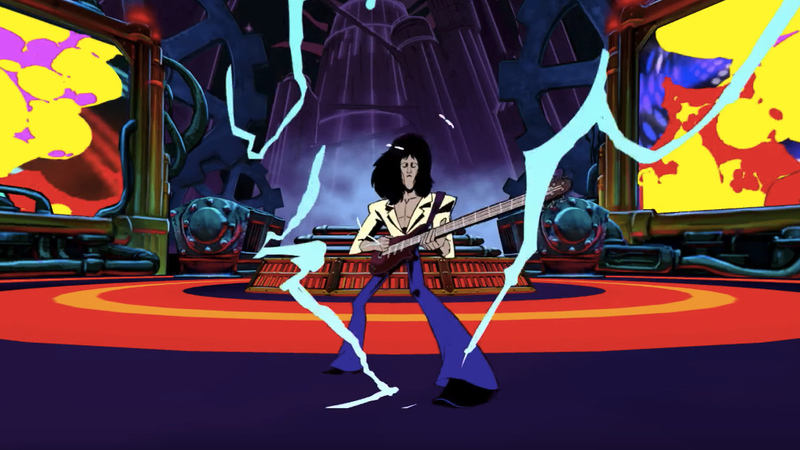 So it's not hugely surprising that Queen has teamed up with Google and studio Enosis VR for The Bohemian Rhapsody Experience. After being teased at May's event earlier in the year, the full experience is now available on Android (iOS is coming soon) and takes you on a journey featuring bizarre visuals and spatial sounds. Insomniac Games' latest Oculus Rift title is a third-person brawler that might not immediately seem like an obvious fit for VR. The diorama style is akin to Lucky's Tale, which worked quite well, but we'll leave it up to you to decide how good the game actually is. It's available now on the Oculus Store. Horror and VR are perfect bedfellows, and we love a good scare. That's why we loved this video of the IGN lot getting locked in a room to play the Boogeyman VR game. If you want to try it yourself, the game is available for use with the Oculus Rift and HTC Vive.